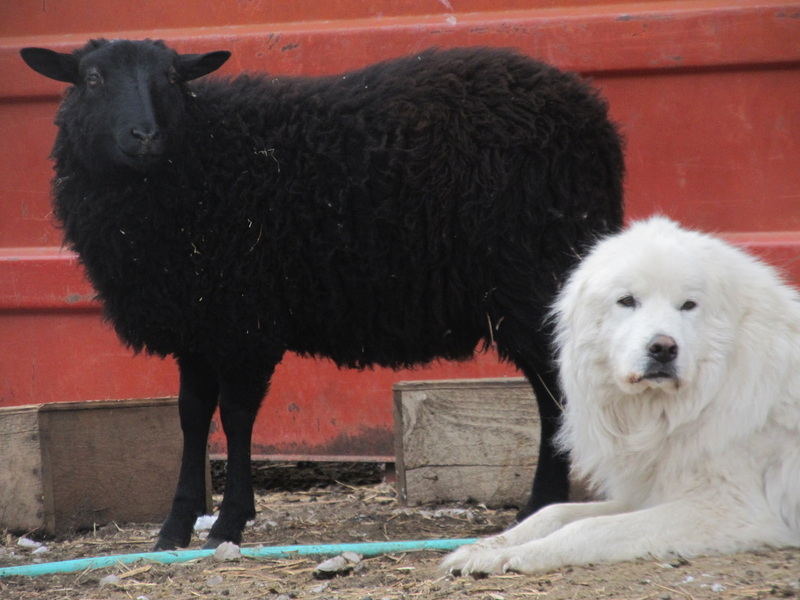 Periodically we sell trained adult livestock guardians, these dogs are tried and true, usually puppies raised on our farm and disciplined by our trusted guardians. Raising a good livestock guardian is no easy task, but once trained these dogs are simply amazing, fully dedicated to their flock whether it be sheep, goats or alpacas, cows, horses, ducks or geese. A trained dog will be devoted to their charge and willing to combat any threat with decisive action. From puppyhood, a dog thats to be a flock guardian is kept in close proximity to sheep, with the discipline of older dogs they learn correct behavior; no aggression is allowed towards the lambs without stern rebuke, and pups soon learn to love their job and wooly friends, treating them like any good dog would treat his master. Adult dogs will guard the carcasses of dead sheep, sometimes for days, and young or newborn lambs are always carefully protected. During lambing season, our dogs take special care of their ewes, many times a dog will lay by during labor and newborns are licked clean and spotless. In cases of stillborn lambs the dogs will lick them completely clean and when convinced that they are not alive, the alpha dog will carry it away. Puppies are never allowed to touch even a dead lamb, thus learning to protect the bloodiest of newborns and hurt sheep.